The Dr. Comfort Ranger is Handsome and rugged enough for all of your outdoor and indoor adventures. Available in our unique no-tie elastic lace, this hiker will satisfy your desire for action. Styles to meet all your needs. For those looking for added comfort and accommodation, try our stretch Lycra styles. For those looking for outdoor adventure, our Ranger hiker boot provides the best in comfort. Need a comfortable work boot? 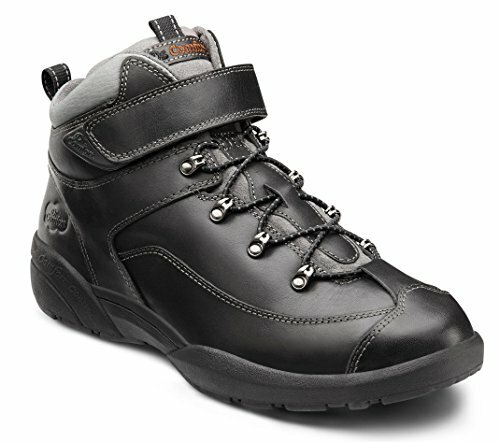 Try the Boss or the Protector, which features steel toe protection. Dr. Comfort Gel Insert Included. Stay active in comfort with the stylish and lightweight athletic wear featured in Dr. Comfort's Mens Athletic Comfort Collection. Shoe Cover: Leather Uppers with Seamless and Padded Lining.